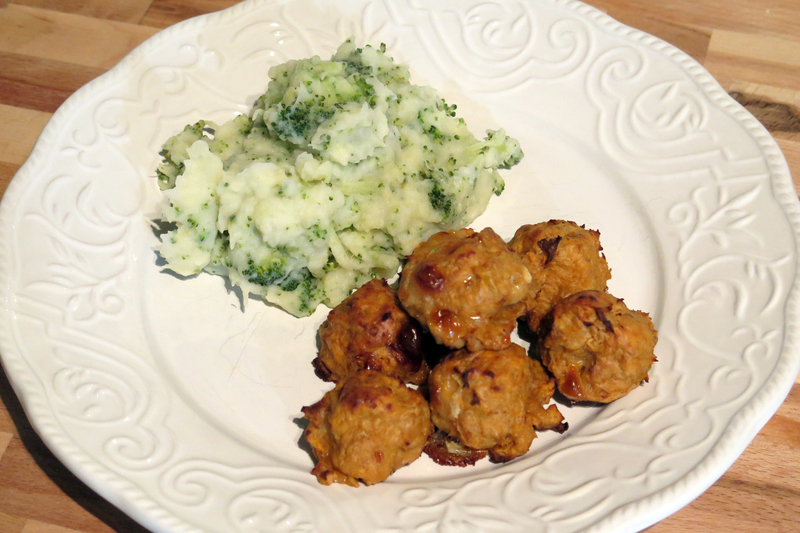 I’m a huge fan of meatballs, easy to make and delicious. I have done so many different meatballs, with chicken, turkey, beef, pork, they all taste awesome. Some with sauce and some without! 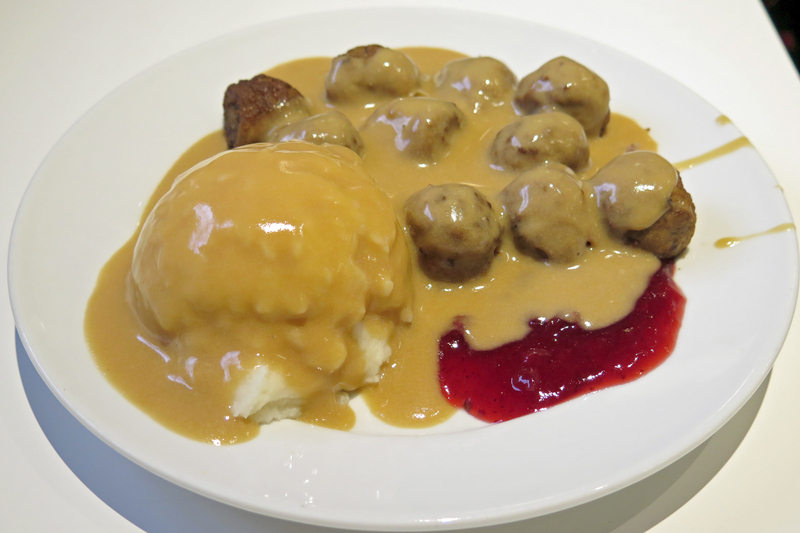 And of course you can’t compete with IKEA meatballs. 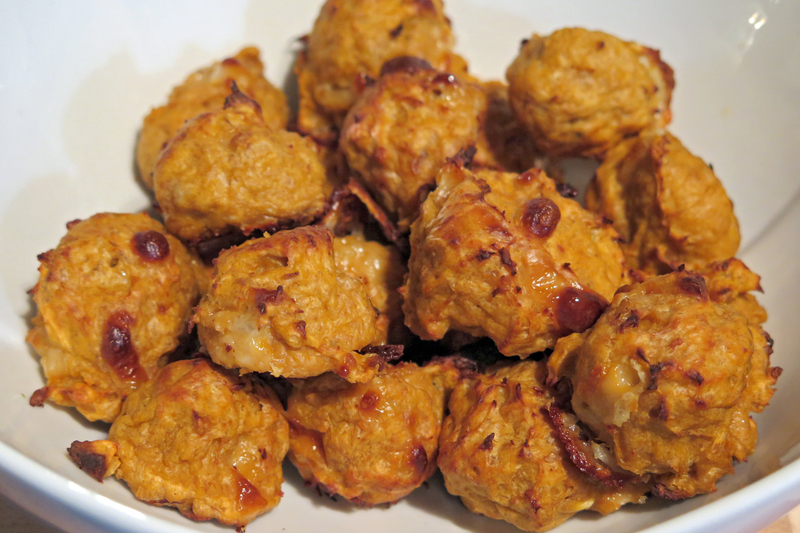 Well, actually, some of my balls can, like these chicken meatballs. They were so much better than the ones we love at Ikea! Mix everything together. I added flour because the batter seemed liquidy. When the batter is ready, form balls, I used the ice-cream scoop, but you can use 2 teaspoons or your hands, doesn’t really matter. Bake in 450 F for 15-20 minutes or until the thermometer inserted into the center should read at least 165 degrees. 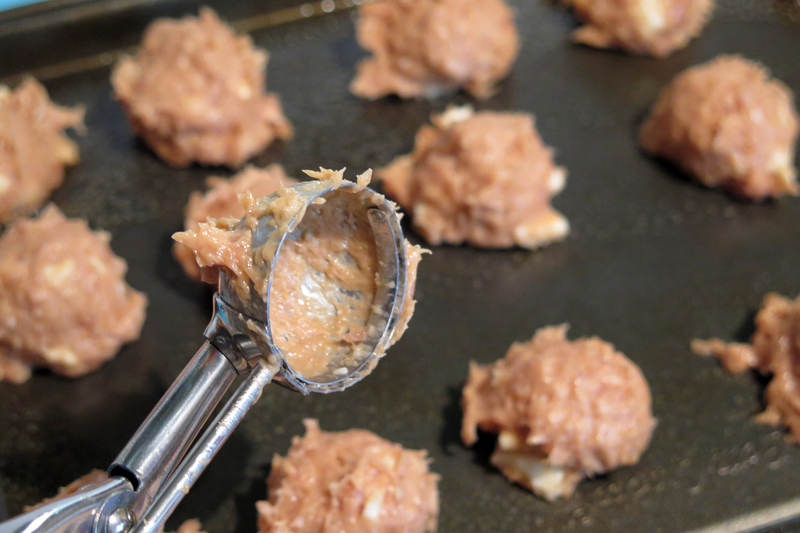 How did it turn out: Like I said in the beginning, this is a winner recipe! Ketchup adds a very special flavor! I served it with mashed potatoes and broccoli. It was actually an accident, I overcooked the broccoli and then decided to add it to the mashed potatoes. It was a very happy accident because it was awesome! Looks delicious and yummy – and easy to make 🙂 would love to try it! Thanks so much!